Whether you're browsing features for your new Garmin or looking for a model upgrade, it can be difficult to determine what you really need. What's a good price? Will it fit within your budget? Where should you purchase? Which Garmin models get the best reviews? What does Garmin offer that its competitors do not? When researching GPS navigation systems, an objective comparison of GPS brands and models can prove extremely useful. Find the answers to all of these questions and more by perusing the following selection of Garmin recommendations and reference material. The widely popular Garmin Nuvi has come a long way since the release of its first series. Since the initial launch of the entry-level 2×0 Nuvi line, Garmin has developed more advanced models with speech recognition, Bluetooth technology, improved traffic management and eco-friendly tools. Newer units offer slimmer designs with added bonuses like Wi-Fi connectivity and 3D mapping. The enhanced features and functionality of the latest automotive GPS systems can make it a challenge to determine what you really want (or need) in a car GPS. If you've narrowed it down to a few different models, these reviews of the latest Nuvi releases can help to point you in the right direction. Garmin offers a range of GPS devices beyond the traditional automotive navigation systems. If you enjoy hiking treks or adventures out in the wilderness, tracking and positioning units like the Garmin Oregon or Rino are ideal. If you're interested in geocaching or topography, be sure to check out our review of the Oregon 550T and the Rino 520. Fishing enthusiasts will want to take a look at the Garmin Fishfinder series and golfers can check out the Garmin GolfLogic. From boating navigation to golfing, there are a number of practical tools available from various Garmin product lines for the athlete or outdoorsman. The following reviews explore several of the most popular. If you already own a Garmin, you'll want to know how to use it correctly to get the most out of your unit. 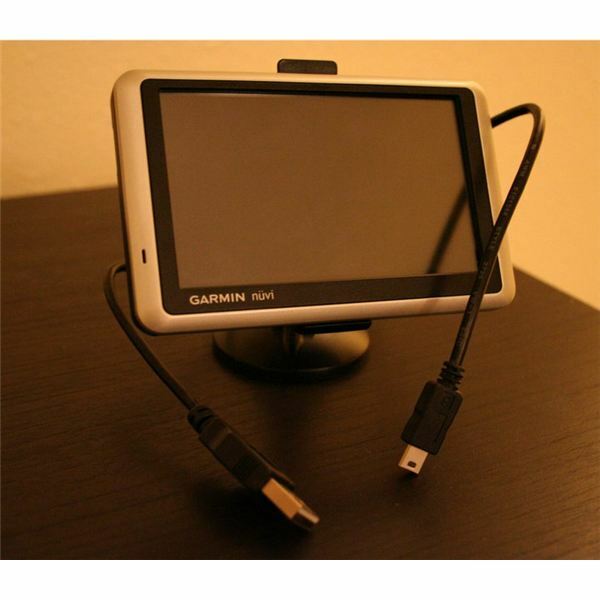 Learn how to charge your Garmin via USB on the computer or update your maps on a handheld device. Don't know how to review your Garmin's history, reverse routes or get that windshield mount to stop falling off? Our guides have the answers you're looking for. If you are having trouble with your unit or recently damaged your GPS, learn more about Garmin service locations to see if it can be easily repaired – or check out our repair tricks and tips to see if you might be able to fix the problem at home. Proper care and maintenance of your Garmin is essential. Update your unit regularly to ensure that you have the most up-to-date maps and software. Whether you are looking for tutorials for use, troubleshooting or repair information, these Garmin guides offer clear guidance and direction. Be sure to familiarize yourself with the accessories and add-ons available for your Garmin product. There are a number of accessories that can extend the life of your unit. Other upgrades offer increased functionality or added personalization. Check out these free maps, custom voices and other upgrades for your device. Should We Track and Share Our Every Move?